Launched January 19, 2006 NASA’s New Horizons probe began a mission to explore Pluto and the Kuiper Belt. New Horizons made headlines in July 2015, fulfilling mission goals beyond our wildest dreams.Five billion kilometers from Earth, it took four and a half hours for messages to reach home, transmissions containing exquisite images of our solar system’s petticoat. NASA issued fresh orders – cross 1.6 billion kilometers beyond Pluto to intercept asteroid 2014 MU69 on New Year’s Day 2019. 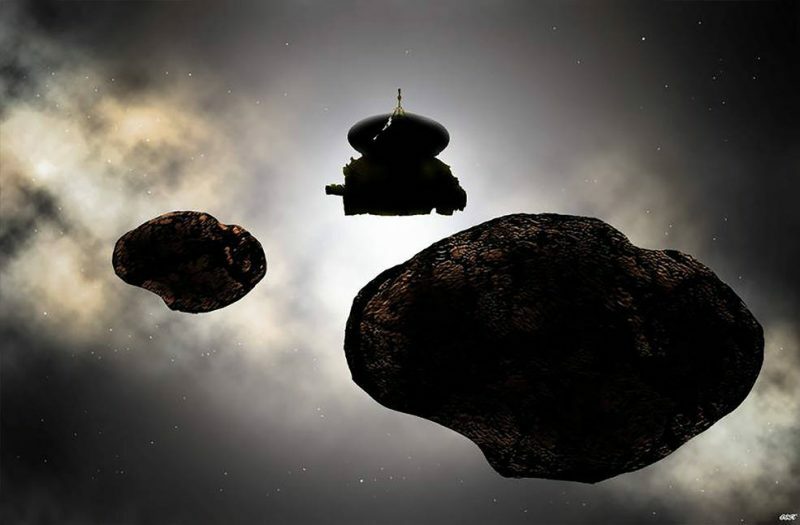 Artist’s concept of NASA’s New Horizons spacecraft streaking past 2014 MU69 – which might be 2 objects orbiting each other – on January 1, 2019. Image via Carlos Hernandez/ NASA. Mu69 is minuscule by cosmic standards. One, perhaps two oddly shaped binary objects no more than 20 kilometers across. 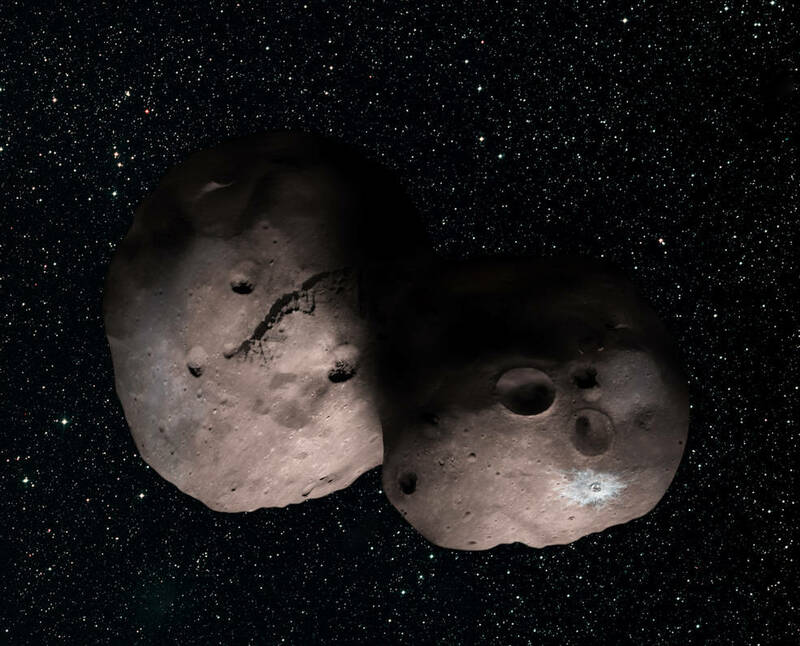 Barely noticed until passing in front of a few stars last summer, now the focus of New Horizons and a NASA contest open to anyone interested in giving MU69 a nickname. The link below takes you to the contest home page – read existing entries, vote or nominate one of your own.